Nokia 6.1 Plus was released in India on Tuesday at an event in New Delhi. 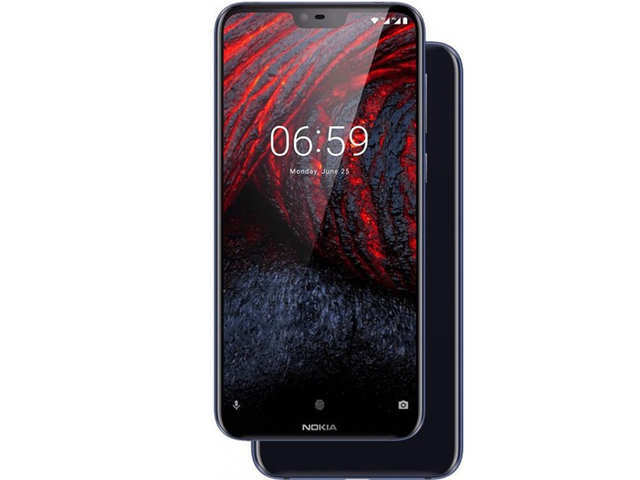 the new Nokia 6.1 Plus smartphone represents the first of the new-age Nokia branded smartphones from HMD global to had been released in India, presenting a brand new design philosophy that carries a display notch popularised by way of the Apple’s iPhone X flagship. To take into account, the Nokia 6.1 Plus became first released in Hong Kong ultimate month and is the worldwide version of the Nokia X6 that become released in China in may additionally of this year. The Nokia 6.1 Plus is an Android One smartphone, which means it is licensed by using Google to offer an optimised Android revel in with stock Android, and also receive timely version updates.As we stated, whilst it is the first of the brand new era of Nokia phones to be released in India, the Nokia 6.1 Plus turned into succeeded in terms of design by way of the Nokia X5, which was also launched in China remaining month. The Nokia X5 has been made to be had globally because of the Nokia 5.1 Plus, at the same launch event in New Delhi. The dual-SIM (Nano) Nokia 6.1 Plus runs stock Android 8.1 Oreo, and sports a 5.8-inch full-HD+ (1080×2280 pixels) display that’s protected by Corning Gorilla Glass 3. The smartphone is powered by an octa-core Qualcomm Snapdragon 636 SoC coupled with 4GB of LPDDR4X RAM.The Nokia 6.1 Plus bears a dual rear camera setup, with a 16-megapixel primary sensor featuring a f/2.0 aperture and 1-micron pixels, while the secondary 5-megapixel monochrome sensor sports a f/2.4 aperture and 1.12-micron pixels. The rear setup features a dual-tone flash module. On the front, the smartphone bears a 16-megapixel sensor coupled with a f/2.0 aperture and 1-micron pixels. Also Read : Airtel is deploying the Next Gen Massive MIMO technology in Bengaluru and Kolkata. The Nokia 6.1 Plus price in India has been set at Rs. 15,999, and pre-orders for the handset will start from today itself on the two sites in Gloss Black, Gloss White, and Gloss Midnight Blue colours via Flipkart and the Nokia online store. The pre-orders will end on August 30 and shipping will begin August 31. As for the launch offers, customers will get no-cost EMIs and 240GB additional data (20GB data per month for 12 months on recharges of Rs. 199, Rs. 249, and Rs. 448) and Rs. 1,800 as cash back (in the form of 36 vouchers of Rs. 50).